By 1907, staff at the Tianjin YMCA were rallying their Chinese charges with the cry: When will China be able to send a winning athlete to the Olympic contests? When will China be able to invite all the world to Peking for an International Olympic contest? Nearly a century later, on the eve of China's first-ever Olympic games, this innovative book shows for the first time how sporting culture and ideology played a crucial role in the making of the modern nation-state in Republican China. 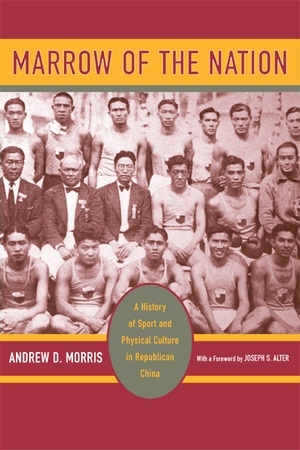 A landmark work on the history of sport in China, Marrow of the Nation tells the dramatic story of how Olympic-style competitions and ball games, as well as militarized forms of training associated with the West and Japan, were adapted to become an integral part of the modern Chinese experience. Andrew D. Morris is Associate Professor of History at California Polytechnic State University, San Luis Obispo.